For John Sicuranza, being out on the water in a boat just comes naturally. 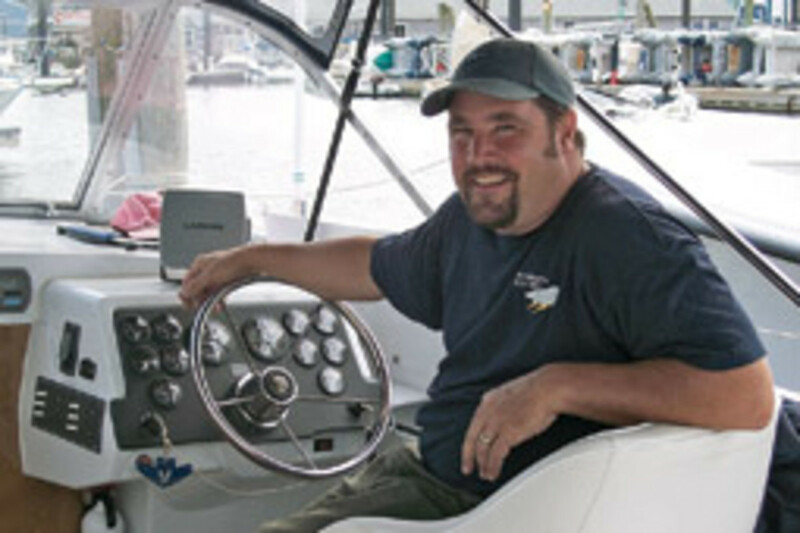 The 44-year-old electrical contractor from Old Lyme, Conn., grew up on the waters of Long Island Sound and the Connecticut River, riding around in his father’s 16-foot Glaspar and messing about in the family rowboat. He and his friends learned to drive boats long before they got into cars. Sicuranza stayed with the sport, even as he started his own business. “I would say I’m a sailor first,” he says. “I’ve been crewing on a friend’s J/24 for the past 14 to 15 years on Wednesday nights and for [the] Off Soundings [regatta].” He’s also an avid frostbiter and sailed in the 1995 Bermuda Race. Too true. On a recent evening, Sicuranza did the “babysitting” for his two kids — Abigail, 5, and Andrew, 2 — while his wife, Kirsten, was traveling. 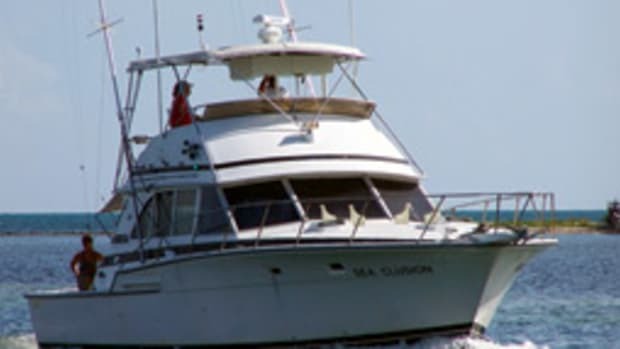 But instead of staying home and watching SpongeBob SquarePants on television, Dad took the youngsters out for a dinner and a cruise to watch the sailboat races off Fishers Island, N.Y. They did it with the newest addition to the family fleet, a 1964 Bertram 25 Express that he found in New Bedford, Mass., two years ago online. 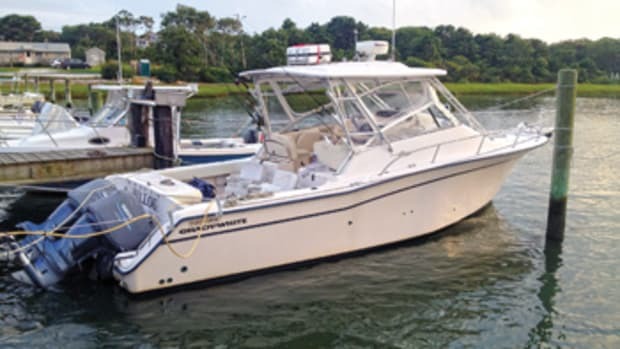 It needed considerable work, but Sicuranza could see that the twin-sterndrive 25-footer was the right boat for his family at the right time. And the right price: $7,000. Power comes from a pair of newly installed 3.0-liter, 135-hp MerCruisers. Each burns about 10 gallons an hour cruising at around 20 knots at 3,000 rpm. Top speed is around 40 mph at 4,000 to 4,500 rpm. It took some work to make it all happen. After replacing the original Volvo engines at Noank (Conn.) Shipyard, he had Essex (Conn.) Boat Works paint the Bertram inside and out, giving the 25-footer a distinctive slate-blue hull. The yard also installed new bulkheads, rub rails, seats and a headliner, and the old hardware was replated. Friends and family chipped in with the work, too. 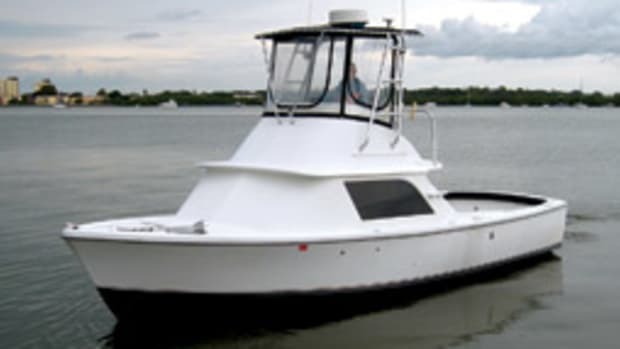 The Bertram 25 is an all-fiberglass boat with a Ray Hunt-designed deep-vee hull. Standard twin sterndrives (around 110 to 130 hp each) provided 20-plus-mph cruising speeds and a top end of around 40 mph. 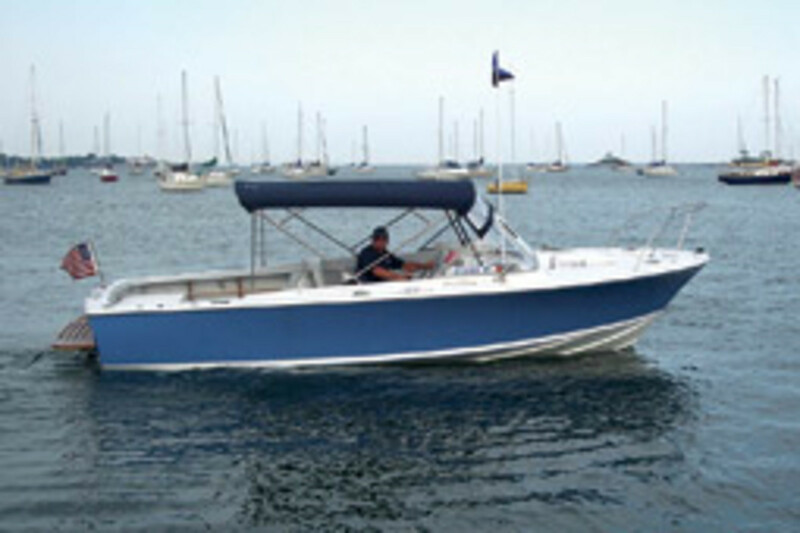 The hull shape is known for its rough-water performance, and the combination of speed and seaworthiness made the boat popular with anglers. 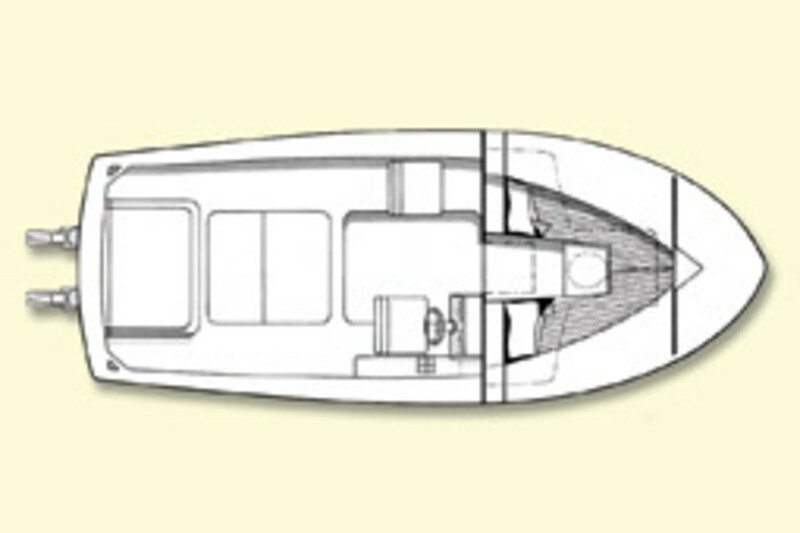 The large, flat foredeck and wide side decks give access to all parts of the boat. The cockpit takes full advantage of the nearly 10-foot beam to provide around 100 square feet of deck space. The helm station is to starboard, protected by a two-pane windshield in an aluminum frame. There’s a pedestal seat at the helm and a companion to port. The cuddy cabin layout is simple, providing plenty of storage as well as the comforts of an occasional overnighter, including the typical V-berth with an insert and room for a portable head in between. A large overhead hatch provides light and ventilation. The Bertram brand is certainly well-known, founded by yachtsman Richard Bertram in the heady days of early production fiberglass boatbuilding. The company’s first design, the Bertram 31, debuted in 1961 and turned out to be revolutionary, thanks to designer Ray Hunt’s then-new deep-vee hull, which changed the performance parameters of recreational powerboats. 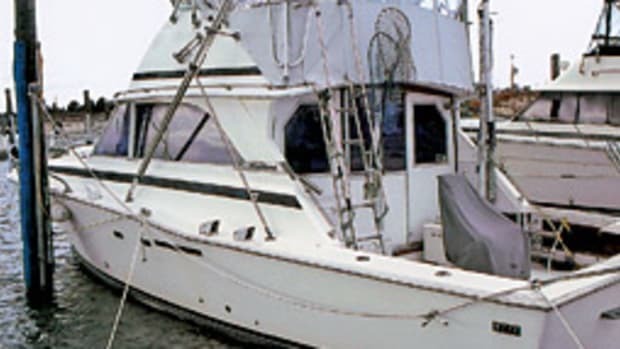 The Bertram 25 Express was introduced in 1961 and quickly earned a reputation for speed and seaworthiness, which made it a favorite among anglers. 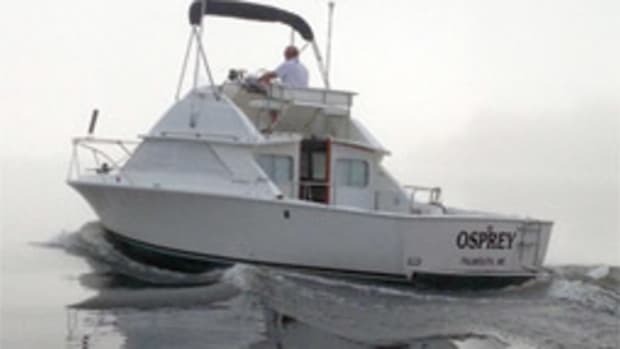 With its two berths and optional head, it also found favor as a family boat. 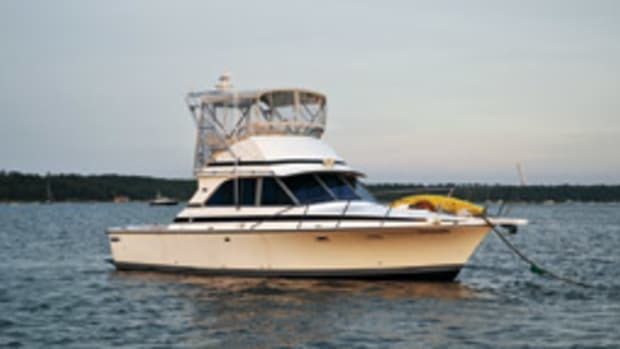 Companion models included the Convertible, Bahia Mar, Hard Top, and Hard Top Sportfisherman. 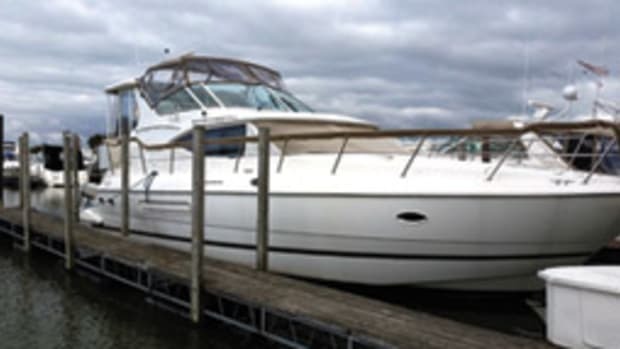 The boats can be found all around the country and vary widely in price. Popular with restorers, project boats are available for as little as $5,000, with many priced around $10,000. Restored models can fetch $30,000 to $35,000 and up. 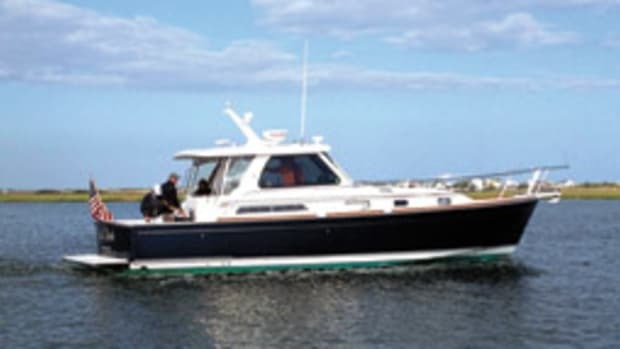 Click here to find more Bertram Yachts.